Happy Friday, guys! 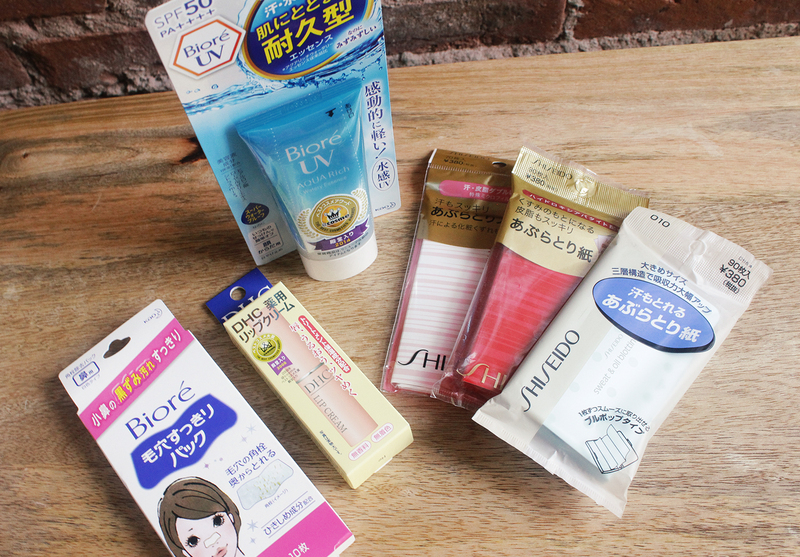 I finally have time to sit down and recap the drugstore beauty goods I picked up in Tokyo. I can't believe it's been almost three weeks since I've been back but better late than never, right? If you're heading to Japan in the near future, I highly recommend having an idea of what you want to pick up or else you'll spend a lot of time browsing the aisles due to the sheer amount of stuff available. Heck, I did a fair amount of research and I still spent a long time walking back and forth the stores like a crazy person. Hopefully this post helps you get an idea of what you can and should buy if you're headed to Japan. 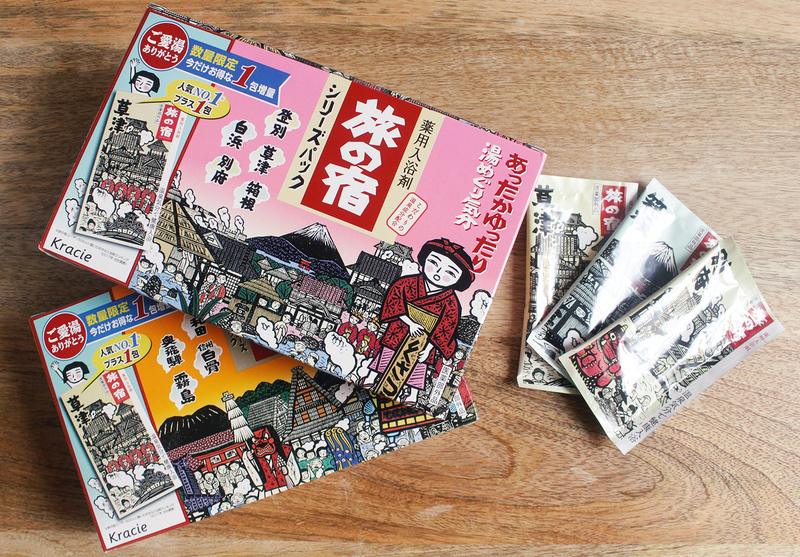 I purchased most of this from Don Quijote (Donki for short) in Akihabara. Don Quijote is a chain store that has every random thing you could want from food to bedding to clothes to toys to, of course, skincare and makeup. I didn't get a chance to visit other Don Quijotes but I have a feeling each one has slightly different stock. I wasn't able to find every drugstore brand I was interested in so I had to stop into other drugstore/personal care stores to check out their stock. The great thing about Don Quixote is that they process the duty free cash back directly at the counter - there's a separate line for duty free customers. 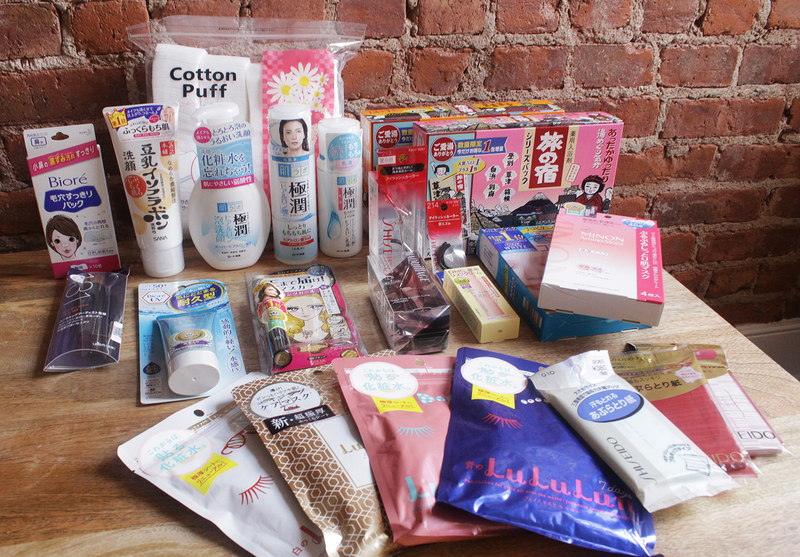 If you'll be in Tokyo for a few days, don't stress about finding a particular drugstore to stock up on beauty products. There's no shortage of places to buy these things. A word about pricing.... I actually can't remember how much each thing cost but it's significantly cheaper than buying online from the U.S. Most of these products can be found on Amazon, eBay or the brands' international sites but you have to be wary of fakes, long shipping times, etc. Now let's get into the actual haul! I knew I wanted to get my hands on some Hada Labo whilst I was there. I picked up the Hada Labo Goku-jyun Foaming Face Wash, the Hada Labo Rohto Gokujyn Hyaluronic Acid Lotion and the Hada Labo Rohto Goku-jun Hyaluronic Hydrating Milk. I believe each of these was around $5-6. The acid lotion is probably what the brand is most known for - a very simple, no-frills hydrating essence water. 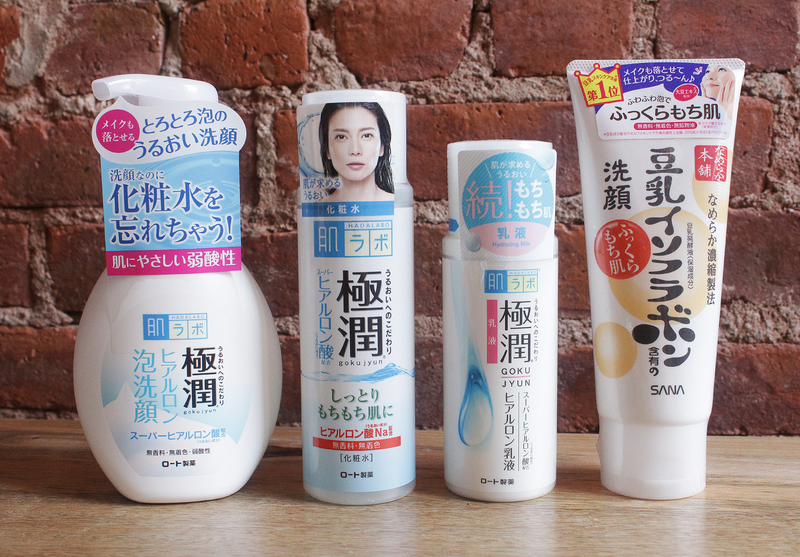 I also grabbed a tube of the Sana Nameraka Honpo Soy Milk Facial Cleansing Wash which is a classic foaming cleanser. No matter what people say about sulfates, I think I'll always have a soft spot for very fluffy foaming cleansers. They're a staple in Asian skincare regimens and my favorite for second-step cleansing. I think this tube was less than $5. You can't come back from Asia without sheet masks. Almost every haul video I watched featured the Lululun masks. The idea behind these is that you use one every day so they're sold in resealable packs of seven or 32. I went for the packs of seven since I wasn't sure if I would love these. The pink one is for moisture, blue is for intensive moisture, white is for brightening and the red is for anti-aging. These are really inexpensive at only JP¥400 (about $3.50). 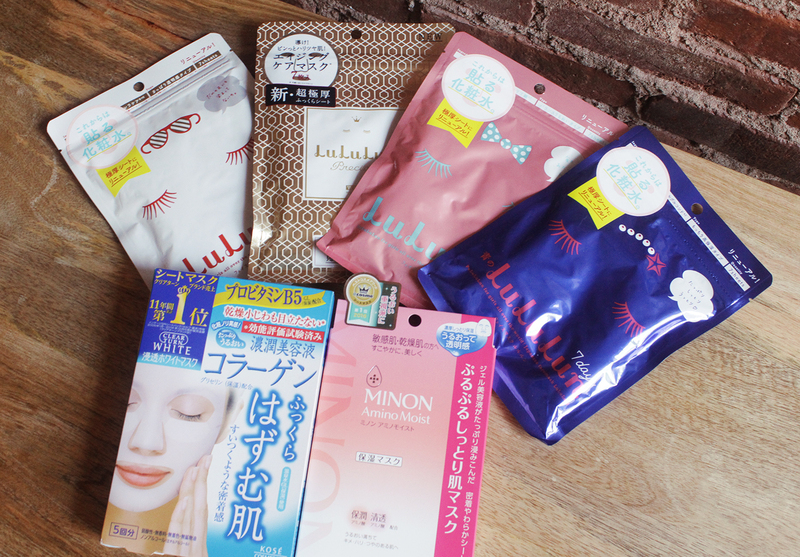 I didn't realize Lululun had a U.S. site but they do and you can order all of these here. The prices are about double the Japanese retail price but they're still affordable. I'm planning to do a full review of these once I've had more time to test them. I got a box of the Kose Clear Turn White Masks which I've seen around a lot but have never tried. I'm dealing with a lot of breakouts and acne scars right now so I'm hoping these will help lighten those spots. A highly recommended sheet mask was the Minon Amino Moist Face Mask. This is one of the more expensive things I bought. I believe the pack of four masks was JP¥1200. Considering sheet masks go for $6 and up at Sephora and other U.S. retailers, I guess this is still a steal. I'll definitely report back on how I like these. Finally some miscellaneous skincare bits that I like to buy when I'm in Asia because they're way cheaper. I know some people don't think Biore Pore Strips work but I really believe they help if used sparingly. I read a lot of good things about the DHC Lip Cream so I picked up one of those. It was only JP¥400 I believe. People stock up on sunscreen in Asia and the Biore UV Aqua Rich Watery Essence is super popular. Blotting sheets are unbelievably pricey in the U.S. so I make sure to grab a couple when I'm in Asia. These Shiseido ones were only JP¥380 per pack. The exact same pink and white striped pack is $12 here. I'm super proud of my ability to resist buying Japanese drugstore makeup. I put some Kate eyeshadows and Canmake blush in my basket and placed it back on the display several times. I have a soft spot for eyeshadows and blushes but I knew I wanted to save up to purchase from some of the higher end brands (that's a post for another day). I did, however, pick up some tools. The Shiseido 131 brush looked really similar to the $30 one they sell stateside. The 131 brush is apparently limited to Japan and costs JP¥1800, about half of the Shiseido Foundation brush we have here. I haven't used this yet so can't report back on how it fares. The same exact Shiseido eyelash curler we have here in the U.S. is considered a drugstore product in Japan. Which is flippin' phenomenal since I like this curler a lot. It's only JP¥800 and get this - the replacement rubber pads are only JP¥100! They sell them for $6 here! I think Don Quijote was having a promo on the Shiseido curler so I think I paid even less than the retail price. I also bought the Maquillage eyelash curler because I've seen a lot of other Asian YouTubers use this one. Maquillage is a brand under Shiseido and this curler was a few bucks more. But I'm so glad I picked this up because I actually like it more than the Shiseido one. The curve is more flat and it's easier to reach the root of my lashes. The one makeup-y thing I bought from Don Quijote was the Isehan Kiss Me Heroine Make Long & Curl Super Waterproof Mascara. Keep in mind I can't read Japanese so I kind of had to guess that this was the waterproof version. But after some cross referencing on Google, it looks like I walked away with the right one. Last, but certainly not least, I hunted these Tabino Yado Hot Springs Bath Salts down. I find myself getting more into the self-care aspects of beauty beyond just skincare and makeup - baths are a nice way to unwind. The online consensus seems to be that these are awesome so I'm excited to try these out. I know they make a milky version and clear version but I can't read Japanese so... I hope I picked up the milky kind. These were super affordable - I think they were only JP¥480 or something like that. 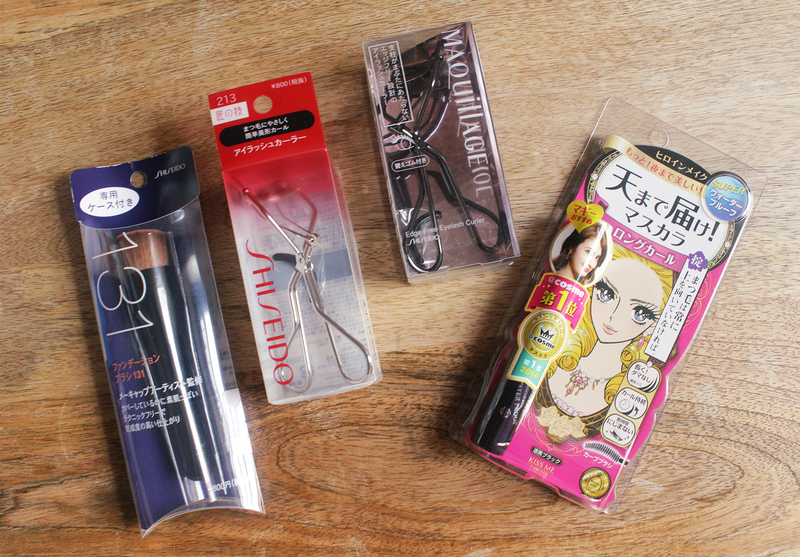 That pretty much sums up my Tokyo drugstore haul. I'd say it was pretty tame, all things considered. I haven't dug into most of these products so it'll likely be a few weeks until I've formulated my opinions on them. If you're curious about anything in particular, let me know in the comments!